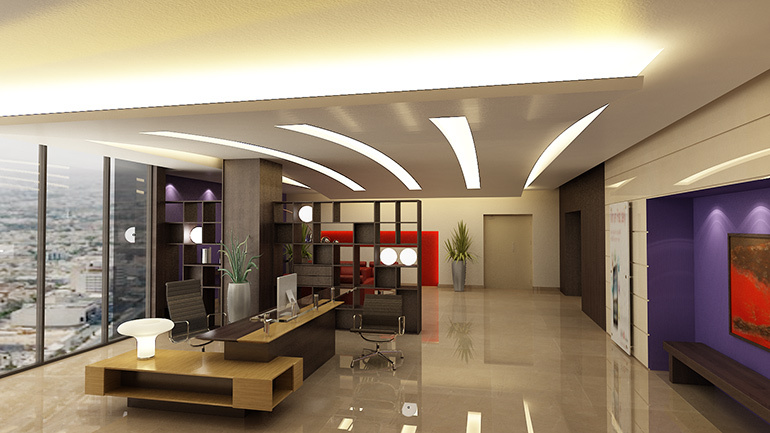 SABB (The Saudi British Bank), an affiliate of HSBC Group, one of the world’s largest banking and financial services organizations, asked us to complete the final phase of the interior design assignment for their Headquarters started back in 2008. The scope of this phase was limited to the VIP reception and lounge and its design proposal had to follow the interior vocabulary of colors and surface finishes of the previously completed work. 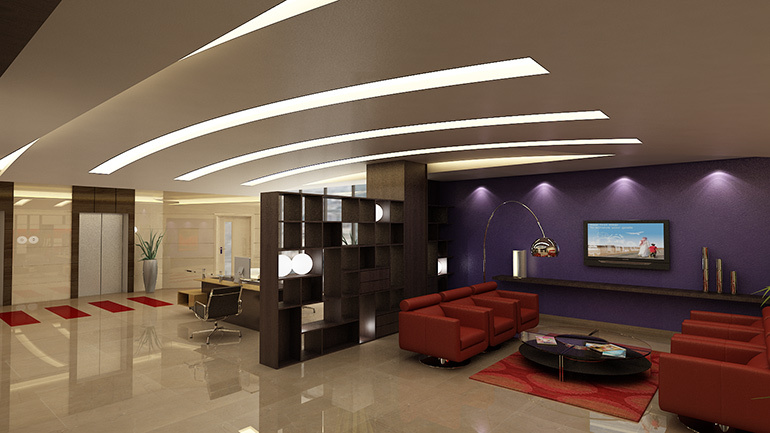 The reception area and lounge were unified through a curved floating acoustic ceiling spanning both interior spaces. The suspended ceiling was cut into by series of linear strips lit indirectly to portray a sense of lightness and suspense while providing comfortable indirect light for the interior. To accommodate the different functions of the project, the interior environment was divided and defined by a modular system. This system, based on the alternation of open and closed elements, was integrated into architecture by adapting a vertical structural member into the ensemble. The semi-open modular system together with the pier defines the VIP reception area in the front as well as accommodating a semi-private lounge area in the back. The design of the reception desk was also tied into the total solution by following the design language established by the modular system.